Thank you so much for sharing about Rob Bell's new book. I watched his video with tears streaming down my face. 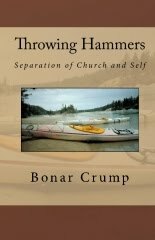 I'm not trying to be a drama queen, it's just that this issue is at the heart of what has alienated me from the church. I don't believe in Hell. There. I said it. I have only ever told that to two other people because I feared what I think would be the "typical" Christian response. After all, Carlton Pearson's "gospel of inclusion" lost him his church. When I read in the Bible that it is only through Jesus that we may enter Heaven, I interpret that to mean that because of Jesus' sacrifice, the doors of Heaven have opened. To me personally, I just think that His sacrifice was so great that it blew the doors off of any conditions or limitations. To say that His sacrifice allows only believers to enter Heaven feels like we're putting man-made, artificial limits on something that is so enormous that we really can't fully comprehend it. I'm not saying I'm right, this is just what I have felt in my heart for many years, but have been afraid to say. 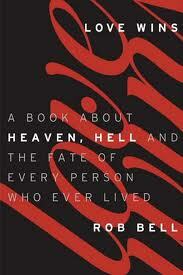 I look forward to seeing what Rob Bell has to say about it.